Pop Recs is hosting a Winter Get Together from The Wearsiders as a host of talent with a mix of styles on show for a night of raucous good fun. B-Type is a mix of 8bit, rap and some rock and roll swagger with some good rhymes. 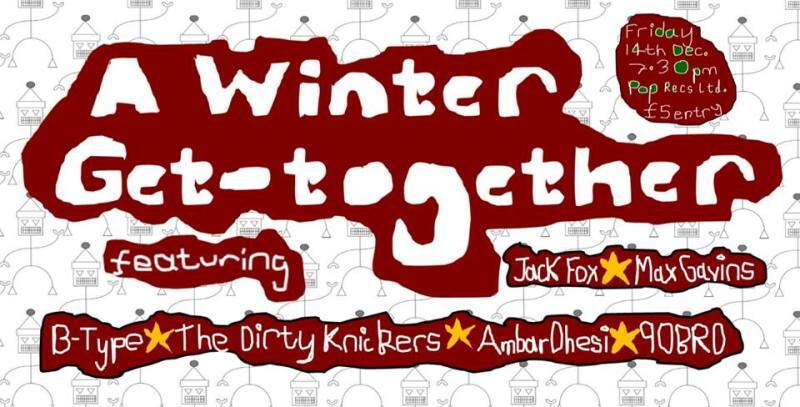 Newcastle four-piece The Dirty Knickers also play alongside singer songwriter Ambar Dhesi. Jack Fox is a comedian and rapper who has been putting out an EP a month throughout 2018, while rapper 90BRO has also had a big year. Max Gavins also has his rap vibes on show, and the producer and songwriter rounds out a stellar line-up. A Winter Get Together is at Pop Recs, Sunderland on Friday 14th December.